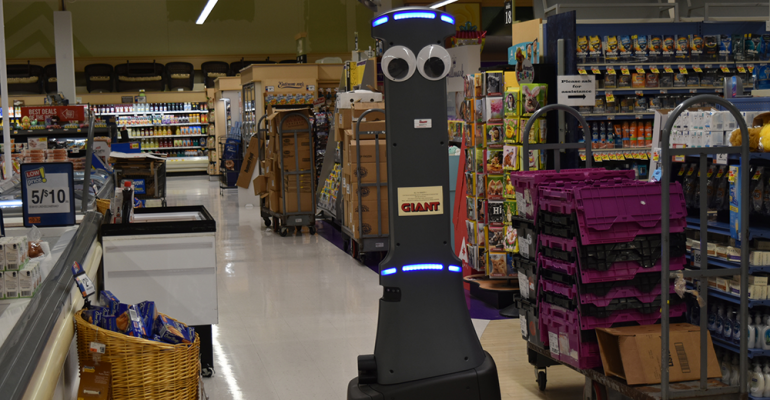 In an effort to contribute to the improvement of in-store efficiency and safety for nearly 500 Giant Food Stores, Stop & Shop and Martin’s locations, Ahold Delhaize — a world-leading food retailer based in the Netherlands — recently introduced its customer base to 'Marty,' a robot created in partnership with robotics provider Badger Technologies to elevate the in-store experience for customers and employees alike. This rollout comes on the heels of successful store technology pilots, as stated by Ahold Delhaize USA Retail Business Services (RBS). Marty is armed with capabilities including flagging potential hazards (liquid, powder and bulk food-item spills), and follows up with reporting corrective action when needed. Ultimately, these robots will help stores reduce the risk that comes hand-in-hand with similar spills, which lets store associates devote their time and energy elsewhere. Learn more about Marty here.